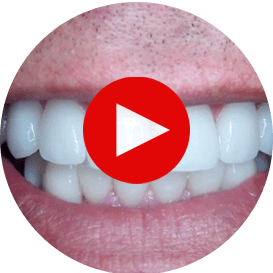 At Famous Hollywood Dental Care, we have been creating star-quality smiles with skilled cosmetic and family dentistry, as well as implant and sedation dentistry for over 40 years! We have committed ourselves to providing the utmost care and comfort to our patients. Led by Dr. Fariba Kalantari, we offer a positive and pain-free dental experience. We will help you with scheduling, insurance or anything else you may need during your time with us. We will take extra care to listen to your concerns, answer all your questions and thoroughly explain your condition and treatment options. To schedule an appointment, please call us at 323.461.4676 or use our online Request an Appointment form. Payment is expected at the time services are performed. We accept cash, checks, Visa, MasterCard and American Express. When extensive dental care is necessary or when dental insurance is involved, financial arrangements can be made with our finance coordinator. Please inquire about our financing plans. Our primary concern is your dentistry. Nonetheless, we will be sensitive to your financial circumstances within the framework of sound business practices. If you cannot keep an appointment, please inform us at least 48 hours in advance. If we are not notified of your change of plans, then we must regrettably, charge your account.